What’s the Purpose for this HVAC Equipment Guide? Property managers have to keep in mind a lot of moving parts with regards to handling real estate property. Besides adjusting to the property owner’s requests, they’ll also need to oversee the collection of taxes, the payment of rent, the preservation of the optimal temperature using HVAC and more! That’s why we decided to outline this foundational HVAC equipment guide. Of each of the above the tasks, maintaining HVAC is perhaps the most demanding responsibilities you as a property manager will encounter. Here are some of the most important points property managers should know about when reviewing HVAC equipment. A few typical HVAC problems are tenant grievances around hot or cold areas in the property, humidity or air quality problems, water leaks, the system breaking at inconvenient moments and the downtime between repairing (all of which can lead to property damage). The moment HVAC dilemmas arise, no matter the HVAC brand or type, property managers shouldn’t be caught off guard to which parts or system components are affected. Small amounts of dirt and debris invariably get stuck inside of an HVAC’s blower arrangement which leads to clogs in the assembly. 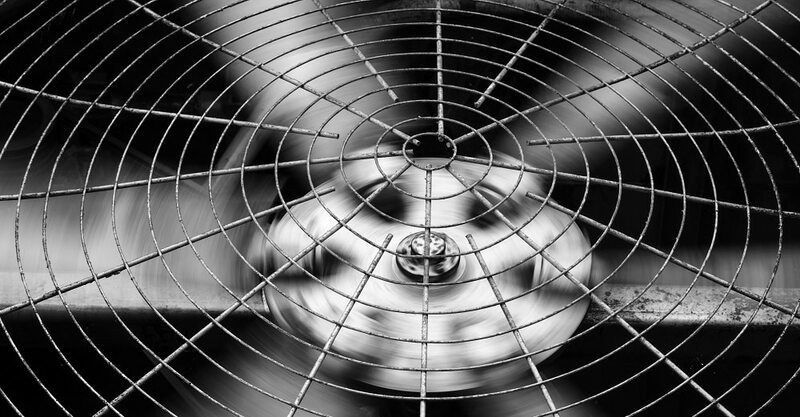 This results in a diminished capacity for the system to maintain an optimal temperature and residents may notice the air failing to circulate. The blowers will benefit greatly from a professional cleaning at least once every year to sustain a full-powered operation. Airflow disparities usually produce faulty ductwork in the style of leaking or cracked channels. Tenants will begin to notice or complain about strange rattling sounds or an odd whooshing noise from loosened ductwork or a broken fan. In these situations, see if you can find the problem area and try to seal the puncture as soon as you can. The air circulation around a residence or building crosses through a complex series of air filters that seize allergens and dust before interjecting it back into the indoor atmosphere. The filters can also become clogged, causing a great reduction in the air quality over time. When occupants complain about an unpleasant smell emanating from the HVAC system, these filters are the prime suspect. Gas leaks, dirty air filters, refuse on the heat exchanger, overheating parts or compressed stagnant water are also possible causes. Renew the filters after a few months as preventive measures. Whether you’re managing a considerably sized commercial or industrial complex, a few house rentals or a group of apartment buildings, property managers must incorporate HVAC systems into their duties to fulfill optimal property operation and guarantee a prolonged HVAC equipment life. Our guide hopefully allowed you to realize the importance of preventative HVAC care in terms of saving potentially huge property maintenance fees by up to 40% and/or 20 additional years of lifespan over time. For more information, or to schedule an inspection contact one of our leading installers today.